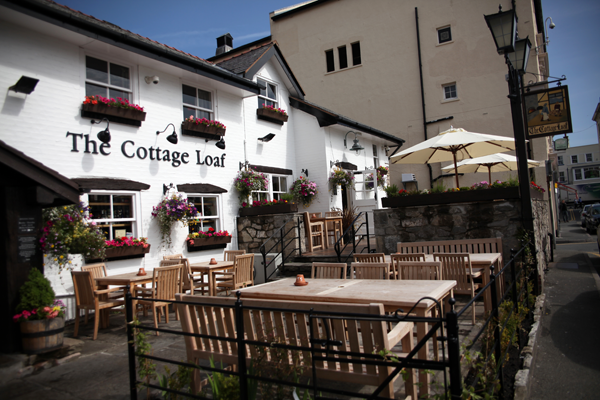 'The Loaf' as we are affectionately known, has everything you would expect from a Welsh country pub. 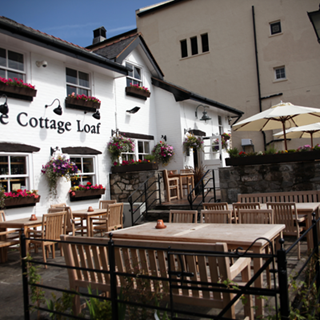 Open fire, wooden beams, colourful gardens, great cask ales and hearty homemade food. Drinks are very expensive ,this sees people move on after food instead of staying . Favourite place to eat when were in Llandudno. Lovely food, cracking service, great value for money. Bit noisy, no need to put the radio on! Very good quality meal. Best steak pie I`ve had for ages. Staff very attentive despite it being very busy. Quick and easy to book online . We`ll be back before long . Thanks for an enjoyable evening. I`ve already recommended you to several friends. Excellent meal here on Sunday. Booked easily online, we arrived a bit early but were quickly accommodated in the restaurant. Friendly, helpful staff, nothing too much trouble. The meal was delicious and great value. Highly recommend and will return. This was the first time we had visited and we’re looking forward to it however we were left very disappointed. After we had ordered our first drinks when we arrived we were never asked if we wanted any more drinks and our empty plates after we had eaten were left on the table for over 20 minutes. We had to ask a waiter to come and clear them and ask if we could order more drinks and deserts. Not the best first impression on our weekend away unfortunately. Loved our visit we will definitely be visiting again. quite pricey for food and drink   nice food though very clean and tidy   one of the better places to go. We entertained 2 friends for lunch at 'The Loaf'. It was superb as usual, and our friends were very impressed. The steak and ale pie is the best ever. Excellent menu something for all tastes very pleasant staff and a lovely table in the conservatory. Really enjoyed ourselves! Great food although some dishes felt slightly over-priced. Roast pork belly was absolutely delicious and we loved having veg to share as it felt like there was an abundance of food. Service was slow unfortunately - our drinks took a good 15 minutes to appear and it wasn’t particularly busy with plenty of staff on. Our waiter wasn’t very attentive, we had to keep catching his eye for more drinks, sauces etc. He worked with his head down a lot! The female waitress was much more ‘on it’. Overall we had a good meal and we would recommend to others. Lovely pub but surprised at the high trip advisor reviews. Service was unfriendly, the waitress clearly wanted to be elsewhere. The food was below average. The taste and texture of the roast potatoes and kids chips seemed like they had been reheated in a fryer. The Yorkshire puddings were also not fresh. Meat was good though. Will not be recommending or returning! Absolutely excellent meal , great service not rushed, very hard to beat. Every time I go there, I always look at the menu and then go for the pie, I have to blame the chef for this, if he didn't make such a good pie I might get around to trying something else...great staff, food...big portions...and beer.